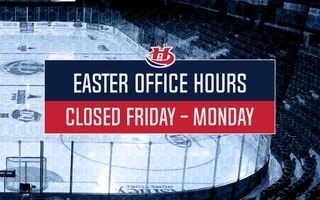 Edmonton, AB – The Lethbridge Hurricanes looked to even their road record on Friday as they made their first of three trips to the Alberta Capital to face the Edmonton Oil Kings but the ‘Canes were out-gunned 7-6 at Rogers Place. 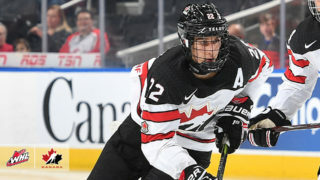 The two new members of the Hurricanes forward group made their debuts as Jack Flaman and Zach Cox were both in the line-up. Flaman was wearing #12 while Cox #16. Both chipped in on the scoring in their ‘Canes debuts. The Hurricanes started well as they took an early lead with a power play goal. 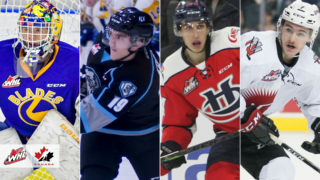 Dylan Cozens struck for his second of the season just 2:12 into the hockey game with Edmonton’s Ethan Cap in the penalty box for interference – Calen Addison and Giorgio Estephan picked up the assists on the goal. Edmonton equalized on a delayed penalty as Will Warm snapped one high over the glove of Stuart Skinner to make it a 1-1 tie. Hurricanes got in penalty trouble in the back half of the period and the Oil Kings took their first lead as Nick Bowman snapped home his first of the season to make it 2-1 after twenty minutes of play. Shots favoured the Oil Kings 11-7 in the opening period. Edmonton continued to press early in the second period as Colton Kehler banged home his first of the season at the 8:39 mark to put the Oil Kings up 3-1 – Brett Kemp and Ty Gerla picked up the helpers. Oil Kings struck again at the 11:16 with another power play goal as Bowman netted his second of the game to give Edmonton a 4-1 lead. The ‘Canes cut into the lead as Shawn Harke scored his first WHL goal redirecting a Zach Cox shot past Travis Child at the 12:47 mark to make it 4-2. 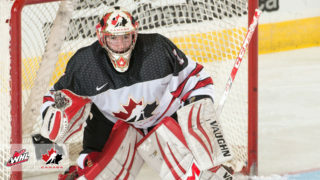 Skinner made an outstanding save robbing Warm of his second of the game before the Hurricanes made it a one goal game. Igor Merezhko let fly with a point shot off a face-off and beat Child to make it 4-3 after two periods. Shots were tied 12-12 in the second period; Oil Kings led 23-19 after two periods on the shot clock. The Hurricanes tied the game at the 5:25 mark of the third period as Cozens backhanded his second of the night making it a 4-4 game – Jordy Bellerive and Estephan picked up the helpers. The Hurricanes took the lead as Bellerive snapped home his first of the season on the power play to make it 5-4 Lethbridge lead with just over eight minutes left in the game – Addison and Estephan picked up the assists on the go-ahead goal. The lead, however, was short-lived as the Oil Kings struck for three goals in three minutes. Trey Fix-Wolansky scored an unassisted goal at the 14:38 mark to tie the game 5-5. Just 1:26 later, Scott Atkinson netted his first of the season before Kehler potted his second of the game to make it a 7-5 Edmonton lead. 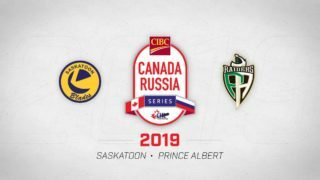 The ‘Canes added a late goal as Flaman redirected a Merezhko point shot with just eight seconds left in the game as it ended 7-6 in favour of the Oil Kings. The Hurricanes and Oil Kings each had 12 shots in the third period, but Edmonton held the shot advantage 35-31 in the game. Hurricanes went 2/3 on the power play while the Oil Kings were 2/6 with the extra man. The Hurricanes fall to 0-2-0-0 on the road to start the season and 1-2-0-0 overall. The ‘Canes are back home on Saturday when they welcome the very same Oil Kings at the ENMAX Centre at 7:00pm. Tickets for Saturday’s game can be purchased online, by calling 403-329-SEAT (7328) or by visiting the ENMAX Centre Ticket Centre.